The products, information, services and other content provided on and through this website, including information that may be provided on this website by a healthcare or nutrition professional employed or contracting with us, is provided for informational purposes only and is not meant to substitute for the advice provided by your doctor or other healthcare professional. Do not use the information available on or through this website for diagnosing or treating a health problem or disease, or prescribing any medication. Persons requiring diagnosis or treatment, or who have specific questions related to their condition or care, are urged to contact their health care provider. With respect to nutritional supplements and therapies, you should always discuss with your health care provider to verify conditions of use and identify any contraindications. In an effort to assist users in identifying medical resources, we may contract with certain health care institutions that consider themselves to have expertise in the research, diagnosis and treatment of particular diseases or health conditions. These third parties may be mentioned on this website and this website may provide a link to those third party websites. We make no warranties or representations, and expressly disclaim any responsibility for, the information or treatment that you may receive from any listed health care provider. Cutoff time for shipping is 2:30 PM EST. Packages will be shipped that same BUSINESS day Monday through Thursday, Fridays orders will be shipped on the following Monday. Cold shipping option will be an additional extra, as with the new formula’s stability it is not necessary. All cold shipped packages will be sent via second day air. For any questions about international shipping, or any concerns you may have please call us at (USA Customer. +1.888.271.2560 , Intl. Customers +1.610.353.5130). Nothing contained herein shall be construed as conferring by implication, estoppel or otherwise any license or right under any of our patents, copyrights or trademarks. We prohibit the use of any of our trademarks, or any related graphic, as a "hot link" to any website unless approved by us. All product names, whether or not appearing in large print or with the trademark symbol, are our trademarks unless otherwise noted. The use or misuse of these trademarks or any other materials, except as permitted herein, is expressly prohibited and may be in violation of copyright law, trademark law, the law of slander and libel, the law of privacy and publicity, and communications regulations and statutes. YOUR USE OF THIS WEBSITE IS AT YOUR RISK. THE INFORMATION, MATERIALS AND SERVICES PROVIDED ON OR THROUGH THIS WEBSITE ARE PROVIDED "AS IS" WITHOUT ANY WARRANTIES OF ANY KIND INCLUDING WARRANTIES OF MERCHANTABILITY, FITNESS FOR A PARTICULAR PURPOSE, OR NON-INFRINGEMENT OF INTELLECTUAL PROPERTY. WE DO NOT WARRANT THE ACCURACY OR COMPLETENESS OF THE INFORMATION, MATERIALS OR SERVICES PROVIDED ON OR THROUGH THIS WEBSITE. TO THE BEST OF OUR ABILITY WE MAINTAIN THAT THE INFORMATION ON THIS WEBSITE IS COMPLETE, ACCURATE AND CURRENT. HOWEVER, DESPITE OUR EFFORTS, THE INFORMATION, MATERIALS AND SERVICES PROVIDED ON OR THROUGH THIS WEBSITE MAY BE INACCURATE, INCOMPELETE OR OUT OF DATE, OR MAY CONTAIN TYPOGRAPHICAL ERRORS. WE DO NOT MAKE ANY COMMITMENT OR ASSUME ANY DUTY TO UPDATE OR CORRECT SUCH INFORMATION, MATERIALS OR SERVICES. WE DO NOT WARRANT THAT THIS WEBSITE WILL OPERATE ERROR-FREE, THAT THIS WEBSITE AND ITS SERVER ARE FREE OF COMPUTER VIRUSES AND OTHER HARMFUL GOODS, OR THAT THIS WEBSITE DOES NOT CONTAIN BUGS, ERRORS, PROBLEMS OR OTHER LIMITATIONS. THE NEGATION OF DAMAGES SET FORTH ABOVE IS A FUNDAMENTAL ELEMENT OF THE BASIS OF THE BARGAIN BETWEEN YOU AND US. THIS WEBSITE, THE PRODUCTS AND THE INFORMATION WOULD NOT BE PROVIDED WITHOUT SUCH LIMITATIONS. 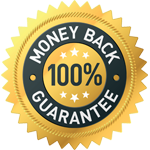 NO ADVICE OR INFORMATION, WHETHER ORAL OR WRITTEN, OBTAINED BY YOU FROM THIS WEBSITE SHALL CREATE ANY WARRANTY, REPRESENTATION OR GUARANTEE. IN ANY EVENT, OUR MAXIMUM LIABILITY TO YOU UNDER ALL CIRCUMSTANCES SHALL BE EQUAL TO THE PURCHASE PRICE YOU PAY TO US, IF ANY, FOR ANY PRODUCTS, SERVICES OR INFORMATION.